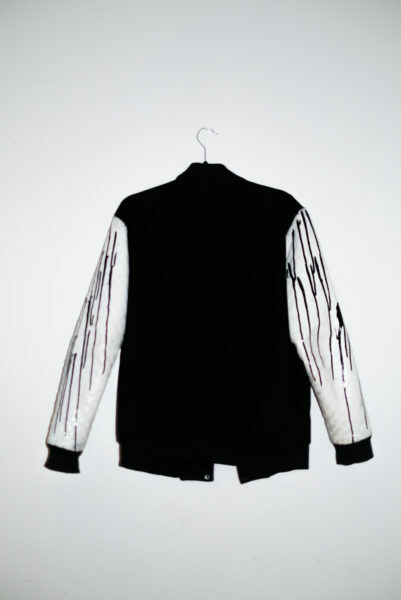 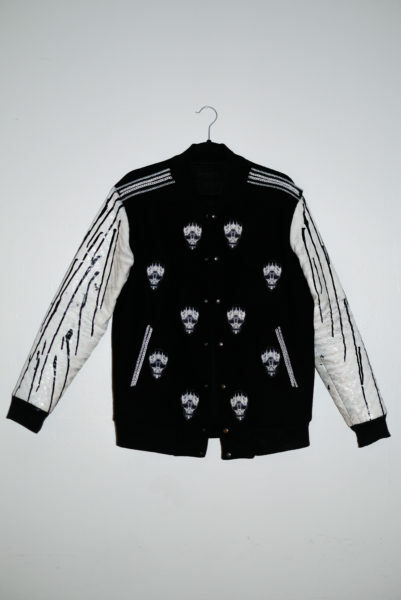 Peace Of War collection jacket with white painted sleeves and black drip detail effects. 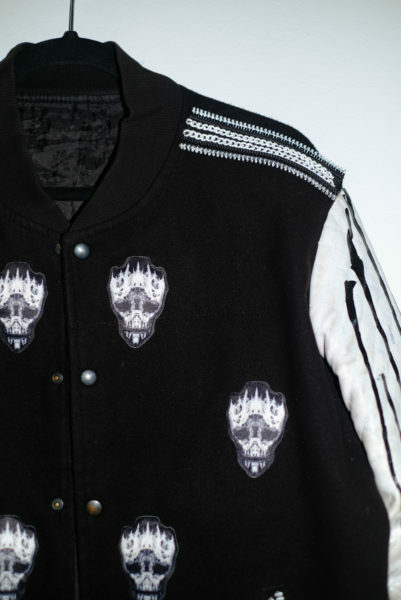 Incorporated with skull crown patches by Toronto artist Chris Corridore. 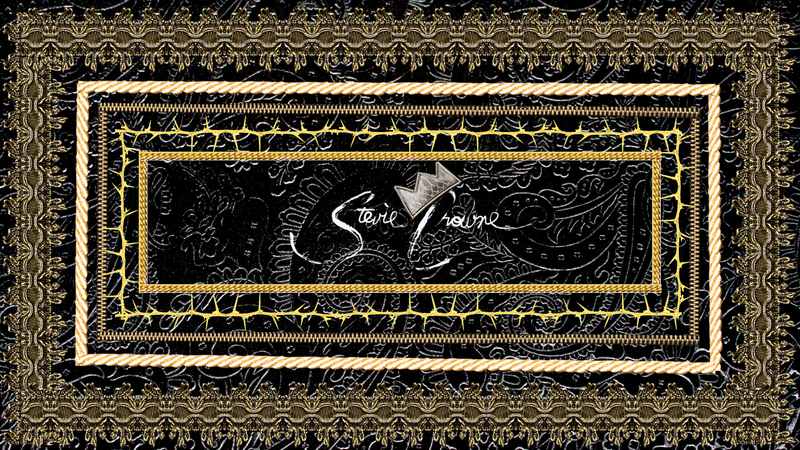 Epaulets are embellished with white zippers and chains as well as pocket trims.